Thank Kareem Abdul-Jabbar for Slam-Dunking Israeli Apartheid! Two months ago, YNet News reported that legendary basketball star Kareem Abdul-Jabbar was planning to visit Israel in coordination with the Israeli Foreign Ministry and the Israeli Consulate of New York. NBA Sporting News reported that Abdul-Jabbar would be competing for the "Spirit of Freedom Award" at the Jerusalem Film Festival. In private correspondence, the US Campaign to End the Israeli Occupation has confirmed that the former Los Angeles Lakers star has decided not to visit Israel, due to concerns arising "after the Nakba Day violence." This year's commemoration of the Nakba left 12 unarmed Palestinians dead after Israeli forces opened fire on refugees attempting to exercise their internationally recognized right of return. Kareem Abdul-Jabbar, thank you for calling Israel's foul! Israeli cultural institutions like the Jerusalem Film Festival are used cynically to brand Israel as a beacon of cultural and technological progress, diverting attention away from its occupation and apartheid policies. For this reason, cultural boycott of Israel is a key component of the growing Palestinian-led movement for boycott, divestment, and sanctions (BDS) against Israel until it complies with international law. You can read the Palestinian guidelines for cultural boycott here. 101 organizations have signed a thank-you letter to Abdul-Jabbar, urging him to hold fast to his decision not to let his good name lend an air of legitimacy to Israeli human rights violations. In addition to the US Campaign, signatories include the Palestinian Campaign for the Academic and Cultural Boycott of Israel (PACBI), Boycott! Supporting the Palestinian BDS Call from Within (Israel), the Organization for Black Struggle, six Islamic-American organizations, four Jewish organizations, 14 campus groups, and dozens of other US Campaign member organizations. Your film, "On the Shoulders of Giants," documents the policies of segregation and racism that characterized the world of basketball in the 1930s. Ironically, the majority of Muslim and Christian Palestinians could not even have attended such a screening because they are excluded from entering Jerusalem on the basis of their ethnicity and religion. Join 101 organizations in showing support for Kareem Abdul-Jabbar's decision and urging him to consider the Palestinian call for BDS! Meg Ryan and Dustin Hoffman similarly declined an invitation to the Jerusalem Film Festival last year following the deadly attacks on the first Gaza Freedom Flotilla. The second Freedom Flotilla is set to sail to Gaza this month. The U.S. Boat to Gaza--the Audacity of Hope--is planned to set sail in the Gaza Freedom Flotilla II in the next few days, and is a coalition member group of the US Campaign, and a US Campaign-endorsed initiative. It looks as though the Israelis, with probable collusion from our government, are trying yet another tactic to prevent the US Boat to Gaza to sail, and keep the people of Gaza isolated and delegitimized, having no rights to travel, import and export goods, have clean drinking water, or have the basic freedoms that Israelis and Americans have. Any kind of pressure we can place on the Greek Government, i.e,, calling the embassy, may be helpful here. With all the effort and work people have put in to have this boat sail and make a statement for justice, in the face of the silence of the rest of the world, would be a really sad thing, and yet another blow for human rights for the Palestinian people. Athens - Passengers on the U.S. Boat to Gaza, The Audacity of Hope, are asking Greek government officials to clarify whether the boat they are leasing is being blocked from leaving Greece because of an anonymous request of a private citizen concerning the seaworthiness of the ship or whether a political decision has been made by the Greek government in response to U.S. and Israeli government pressure. They specifically want to know if the U.S. is using its leverage at the International Monetary Fund over the implementation of an ongoing bailout of European banks with massive Greek debts to compel the Greek government to block the U.S. Boat to Gaza from leaving Greece. "We are guests here," said Robert Naiman, a passenger on the U.S. boat. "But we ask the Greek authorities to be honest with us. What is the origin of this complaint? Is the decision to stop our boat from leaving truly due to legitimate technical issues that can be resolved, or is it a sign that our boat will be stopped from leaving no matter what we do? What is the role of the Israeli and U.S. governments in the Greek decision to stop our boat from leaving?" 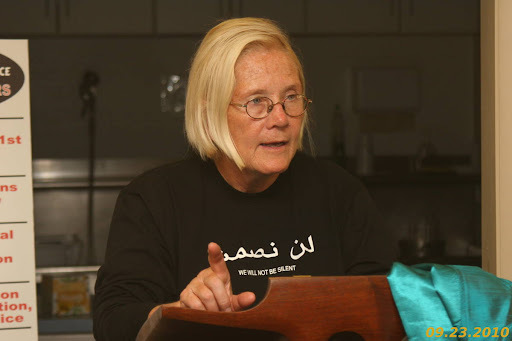 "We have a right to protest the blockade of Gaza," said Ann Wright, an organizer and passenger on the U.S. boat. "To its credit, the Greek government, like the Red Cross, Amnesty International, and Oxfam, agrees with us that the blockade on Gaza must be lifted. But for years, the only effective international action to challenge the illegal blockade has been freedom flotillas. We call upon the Greek government, which agrees that our cause is just, not to stand in the way of our peaceful protest in pursuit of our shared goal of lifting the blockade. The boat we are leasing for this journey, after its refitting for the voyage to Gaza, was surveyed by a professional surveyor and successfully completed its sea trials. There is no reason for any further delays on this matter, we are ready to sail." The US Boat to Gaza is a coalition member of the US Campaign, as well as a US Campaign-sponsored initiative. The Los Angeles Times has run an important Sunday op-ed by Hagit Borer that touches on her particpation with the US Boat to Gaza. Other op-eds about the effort to break the blockade have been receiving a ferocious response in letters to the editor and comments. It is crucial that activists rally to support of this op-ed to show the strong support the flotilla has. Please write your letter to the editor today, particularly if you are in the Los Angeles area. Letters can be sent to letters@latimes.com and should be 150 words or shorter. "Please include your full name, mailing address, daytime phone number, and e-mail address. This information is seen only by the letters editors and is not used for any commercial purpose." An Israeli American explains why she will be among many boat passengers trying to break through Israel's blockade of the Gaza Strip. Later this month an American ship, the Audacity of Hope, will leave Greece on a journey to the Gaza Strip to attempt to break Israel's blockade. It will join an expected nine other ships flying numerous flags and carrying hundreds of passengers from around the world. I will be one of those passengers. I am an Israeli Jewish American. I was born in Israel, and I grew up in a very different Jerusalem from the one today. The Jerusalem of my childhood was a smallish city of white-stone neighborhoods nestled in the elbows of hills. Near the center, next to the central post office, the road swerved sharply to the left because straight ahead stood a big wall, and on the other side of it was "them." And then, on June 9, 1967, the wall came down. Elsewhere, Israeli troops were still fighting what came to be known as the Six-Day War, but on June 9, as a small crowd stood and watched, demolition crews brought down the barrier wall, and after it, all other buildings that had stood between my Jerusalem and the walls of the Old City, their Jerusalem. A few weeks later a wide road would lead from my Jerusalem to theirs, bearing the victors' name: Paratroopers Way. A soldier helped me sneak into the Old City. Snipers were still at large and the city was closed to Israeli civilians. By the Western Wall, a myth to me until then, the Israeli army was already evicting Palestinian residents in the dead of night and demolishing all houses within 1,000 feet. Eventually, the area would turn into the huge open paved space it is today, a place where only last month, on Jerusalem Day, masses of Israeli youths chanted "Muhammad is dead" and "May your villages burn." Jewish Voice for Peace (JVP) and the American Friends Service Committee (AFSC) are two of our coalition members, along with six of AFSC's U.S. regional chapters. Spearheaded by JVP, the "We Divest" Campaign targeting TIAA-CREF is a US Campaign-sponsored initiative. AFSC has distributed the following press release. The campaign also calls on TIAA-CREF to establish investment criteria to exclude any such companies in the future. The TIAA-CREF campaign does not target the government of Israel or Israeli companies for divestment; it is directed at divesting from all corporations that profit from the Israeli occupation. This decision is a response to ongoing Israeli violations of human rights and international law and is a rejection of any actions that might support these violations. Consistent with AFSC’s investment screen, this campaign seeks to change Israeli government actions and to end its continued occupation of the West Bank, including East Jerusalem, and Gaza. For more information about AFSC’s joining the Jewish Voice for Peace campaign, see our frequently asked questions. 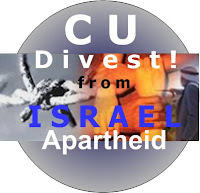 We are proud to announce CU-Divest as a new coalition member of the US Campaign! 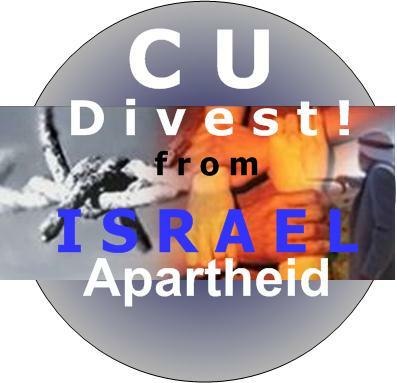 Yesterday at the Board of Regents meeting at the University of Colorado Springs campus, a local “grassroots movement” called CU-Divest! stood at the public forum segment of the Regents meeting and appealed to the Regents to divest from Israeli apartheid. Local activist, Michael Rabb spoke for about two minutes and delivered the group’s petition with 1500 signatures calling on the University to divest from companies that support Israel’s occupation, colonization and apartheid. Rabb said, the premise for our request is Israel is doing is doing some absolutely awful and inhumane things to the people of Palestine. For 44 years Israel has enforced a crushing military occupation of the West Bank and Gaza, Israel continues even now expanding their colonization (that would be jewish-only settlements) and systematically administers a system of apartheid against the indigenous people of Palestine. Israel takes Palestinian land and water. Israel taxes Palestinians and builds houses and roads for Jews only on Palestinian land. Israel separates Palestinian neighborhoods and walls them up as ghettos or Bantustans as the whites did to blacks in South Africa. CU community members advocate divestment from South Africa in the 1980s. The Board of Regents has a choice have a choice to make. 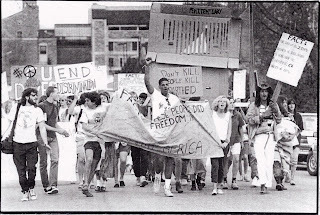 Just like in the 1980s when they voted to divest from South African apartheid, and just like five years ago when the Regents voted to divest from Sudan’s genocide, once again the University of Colorado has a choice to make. The University of Colorado must say no to apartheid. Our campaign has really gained momentum in the last few months through the action of our petition drive. A number of students and some faculty have signed on to our cause (Learn more about the campaign here). 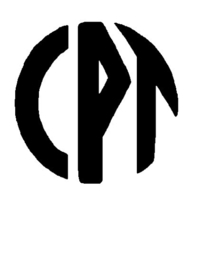 CU students have started a student organization at the Boulder campus and are organizing some great events for the fall semester to bring the attention of the University community to this issue. World Famous Dutch DJ Armin Van Buuren is scheduled to play in Eilat on June 30th. Israeli citizens have written a letter to Armin Van Buuren (below) to ask him to support peace and human rights by canceling his concert and joining the cultural boycott of Israel. 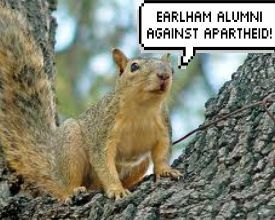 Join us in asking Armin not to entertain Israeli Apartheid by posting on his Facebook and Twitter pages! We are a group of Israeli citizens. We realize that cancelling at this late stage may seem drastic, but this should be understood in the context of Israel's policy: Israel has been utilizing international cultural events to construct a facade of normalcy to a reality in which 1.6 million Palestinians (44% of which are children under the age of 14) are kept under siege in Gaza[i], 2.5 million are kept under martial-law in the West Bank with no civil rights, and millions more are subject to racially discriminating laws[ii] inside Israel. If you play in Israel at this time, you will accept that a Palestinian fan of your work living under Israeli occupation will not be allowed by law – and denied by an illegal[iii] wall built on annexed private Palestinian land, fences and military checkpoints – the chance to attend it. Mobility in the West Bank is just one of the examples which illustrate the environment in which international cultural events in Israel take place. But Israel's human-rights abuses against Palestinians go much further than this: violent nightly incursions[iv] into Palestinian villages, systematic arrests of children[v] as young as 11, the killing[vi] of non-violent demonstrators – these are not isolated occurrences of atrocities, they are the infrastructure of a system of oppression, practically unaffected by any criticism or international rulings that demand changes.